The Home page of your website is the first page a visitor will see when visiting your site and should contain the most important information you would like to convey. To designate a page on your site as a Home page, first, log in to your Account Dashboard. From your dashboard, select the site you would like to edit, then click the Edit Site button below your website thumbnail. Here you'll be taken to the WebStarts Web Editor to begin editing your site. Once you're logged in to the WebStarts Editor, you can then select which page you'd like to be the Home page. On the left toolbar, click the Pages icon. From the list that appears, click on the Page Settings Cog icon next to the page you'd like to designate as the Home page. A window will pop up with that page's settings. 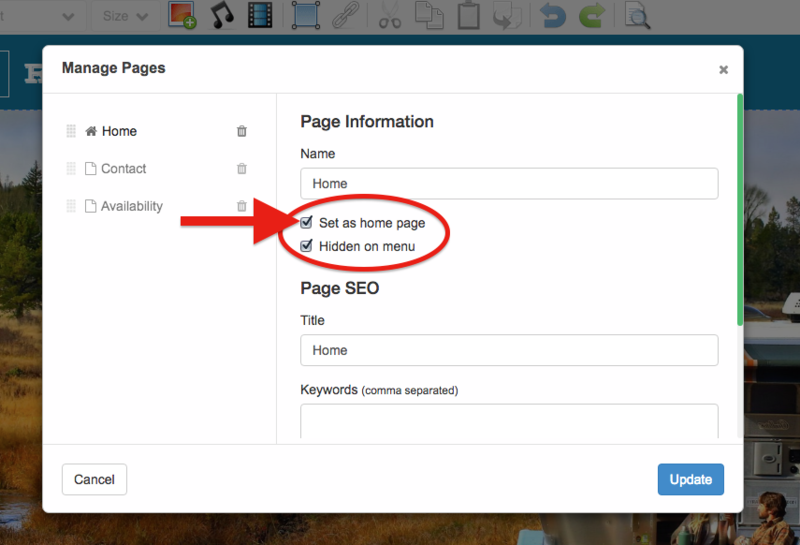 Under the Page Name you will see a checkbox labeled Set As Home Page. Click that box to select that page as the new Home Page. 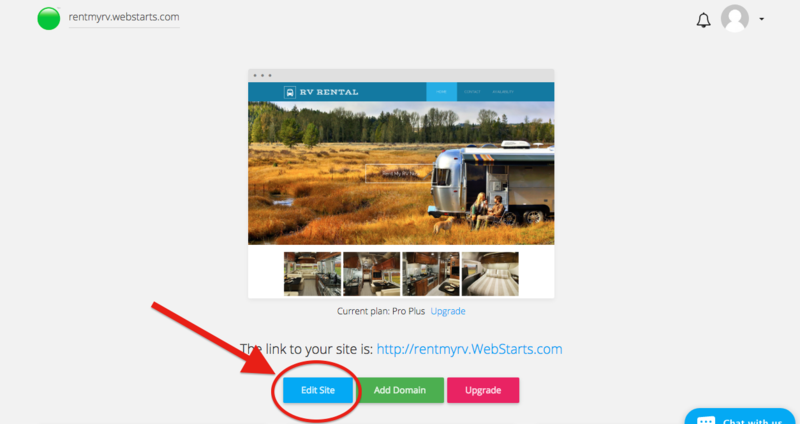 Be sure to click the Save and Publish icon in your website editor to save your changes.